TIP #1.- SHOES. Find a local running store and get fitted with the right pair of shoes. While there are some people out there who can wear pretty much anything and run, but you are more prone to injuries that way. I suggest you go to a running store with employees who can test your gait and put you in the RIGHT shoes for you. I strongly believe if you are in the perfect pair of shoes, you will be fine. Luckily I have a FANTASTIC running store nearby! Track Shack‘s employees always welcome me with a smile and great knowledge! TIP#2.- PROPER FORM. Learning the proper running form is pretty important if you wan to avoid injury. Make sure your hands are at your waist, shoulders are relaxed, arms bent at 90 degrees and your running nice and tall. Don’t look down at your feet, look a little ahead of you otherwise your posture will suffer. When you start to get tired, your shoulders tend to tense up and go up by your ears, if you notice this take a walk break to realign your posture. TIP #3.- DON’T PUSH IT. 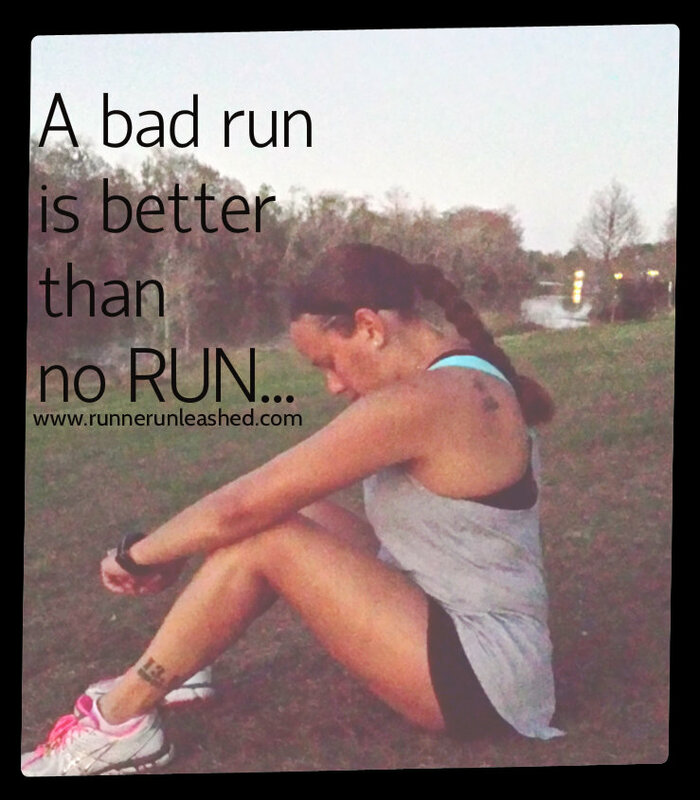 Many people get excited and are eager to head out and run, but that is a big no-no!! You must start off slow and short. You’ll get the mileage but you gotta work up to it. You can increase your mileage safely by around 10% to avoid injury. You will build up to the distance you want, with time. 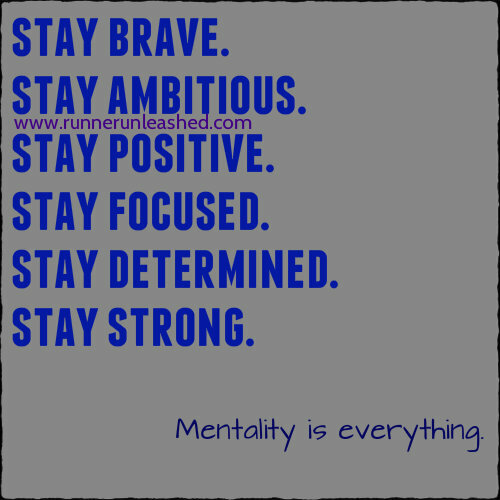 Thats why many runners spend months and months training for a race. It takes time. Be PATIENT! TIP #4.- GET THE GEAR. It will make a world of a difference if you head out wearing the right clothes for the right exercise. DO NOT wear a 100% cotton t-shirt for a run. It will weigh a ton and look like you are wearing a dress, trust me not pretty. I’ve seen many make this mistake. Get some tech tees and running shorts. Ladies start looking for that perfect running bra like KIAVA. It took me awhile to find the perfect bra but running tops and shorts are easy. The most comfortable bra for runners! TIP #5.- GROUP RUNS. Running with a group is not only fun, but it’s also motivational, inspirational, and helps keep you accountable. 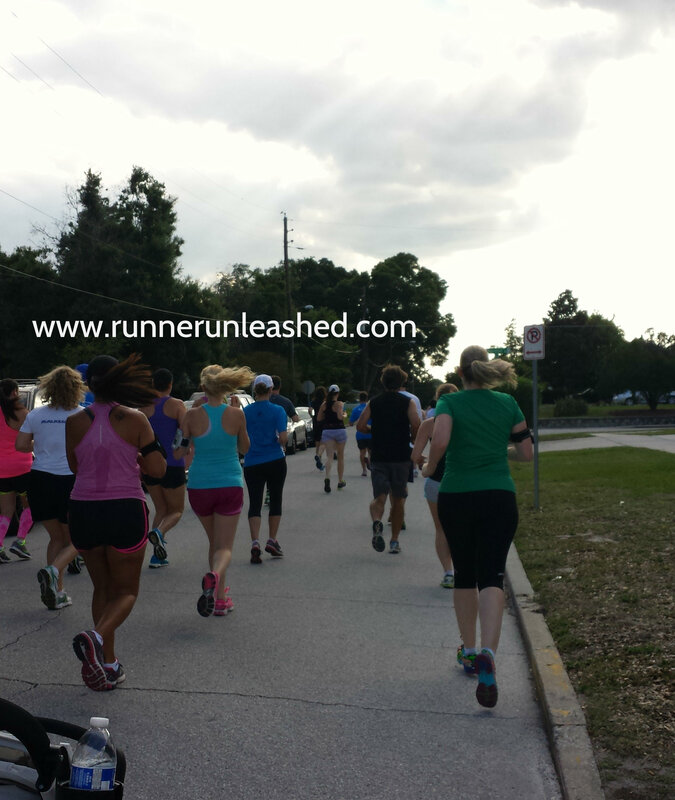 All running groups welcome new runners of ANY pace. They will make you feel comfortable and welcome. You can check with your local running store, or search online. TIP #6.- RUN/WALK. Many people think you have to run the entire time while in a race to be a “real” runner. 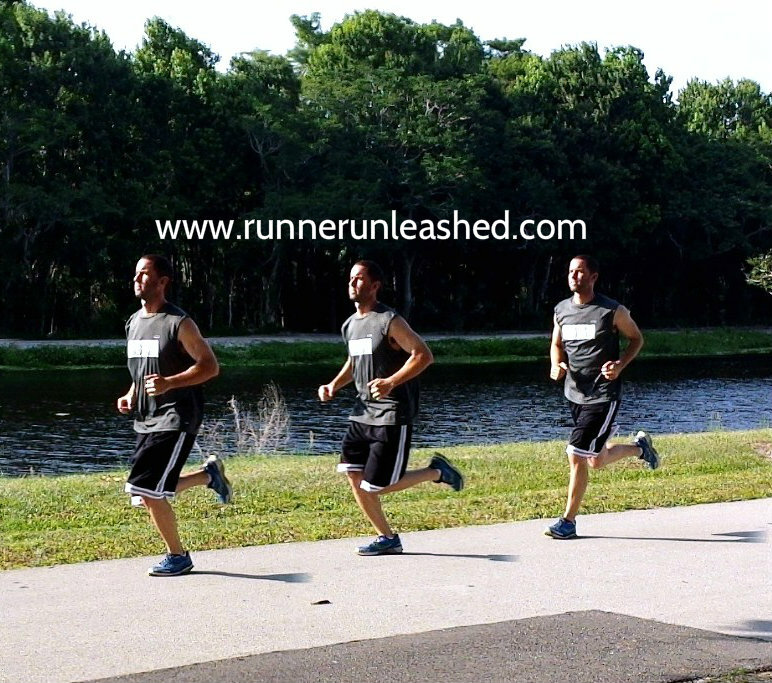 Many runners use run/walk intervals like myself. Sometimes you need a little walking time to get back in it. Going balls to the wall on speed won’t get you there quicker as you will need to stop and catch your breath. Running steady at a slow pace with walking is very effective for succeeding. Try using the Galloway Method to guide you through it if you decide to do run/walk method. TIP #7.- HYDRATE. Being well hydrated is VERY important!! Make sure to hydrate hours before a run so it goes through your system. While running under an hour, its OK to keep drinking water, anything longer you will need to start restoring your electrolyte levels with a sports drink. It’s tough for me to drink Gatorade for long runs so I alternate water with Gatorade so the sugar in it doesn’t upset my stomach or give me cramps. TIP #8.- FUEL. Eating plenty of carbs and proteins before a run will keep your performance in the positive. That is what will keep you energized and your muscles strong while you run. Just make sure you give your stomach plenty of time to digest the food to avoid running with cramps. For a quick out the door snack try a bagel with peanut butter, a yogurt with granola, or a banana. This will keep you good for a quick easy run. While you are running, if going for longer distances, you will need to refuel. That is up to you. You will have to try out and find a good mid run snack. Many runners use gels, powdered drinks, fruits, power bars and such. I use Vega Sport gels with excellent results. Post run you must eat ASAP. Your muscles are hungry for nutrients so eat something packed with protein to fuel your muscles and restore them quickly. I usually down a big glass of chocolate milk. TIP #9.- BE A GOOD LISTENER. Your body is amazing. It will let you know when something is wrong. LISTEN TO IT!! Don’t ignore that pain in your knee, or that pop in your ankle that swells. You must be in tune with your body and get used to what it tells you. At first everything will ache and be sore. You must give your body some time to get use of the demands from running. If you feel any pain, you must care for it. For soreness, you can get a foam roller and roll your muscles over it until the soreness is gone, or take an Epsom Salt bath. TIP #10.- REST. Giving your body time to restore itself is vital. Rest days are just as important as training days. Your muscles need to regenerate and refuel. When you run, or do any exercise for that matter, you create little micro mini tears in the muscle tissues. While at rest, your muscles are working to repair these tears. Don’t worry! This is normal and part of the process that makes your muscles bigger and stronger! But of course, if you don’t give your body enough time to rest so your muscles can repair itself, you can create bigger tears and bigger problems. So take a day off! It’s OK! These are some of the most common things beginner runners will “run” into 😉 as you start on your change your life journey. If you have any questions please feel free to ask. I know as a beginner I had tons of questions and felt lost. I don’t want you all to feel that way. I am here to help! I hope these tips will help you all succeed!